Our sanctuary received a much needed makeover. Take a peak at the renovations! 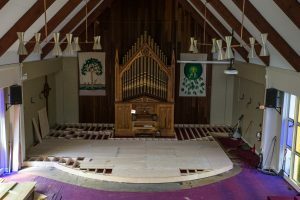 In the summer of 2015, St. Columba’s project was to renovate our sanctuary. After over 40 years, it was time for a makeover! In June, volunteers joined our minister, Ian, to paint the walls and in July, another crew constructed a new permanent platform. August saw the old carpet ripped up and a beautiful new floor laid down. New chairs then arrived to replace the worn out pews and worship resumed in our sanctuary by late August. 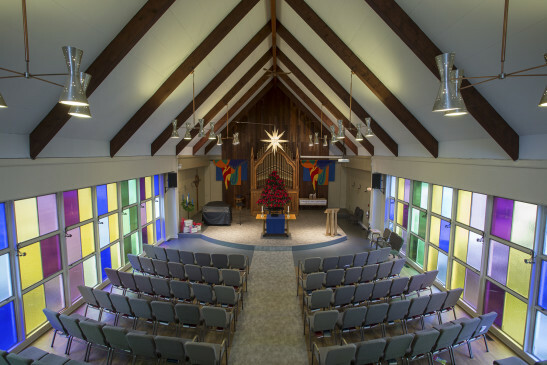 We are excited by how clean, modern, comfortable and welcoming our sanctuary has become. We invite you to visit us and to find a place among us.